The Prayer Shawl Affinity Group produces shawls and lap blankets for members of the BBUUC community who are in need of the congregation’s love and support. 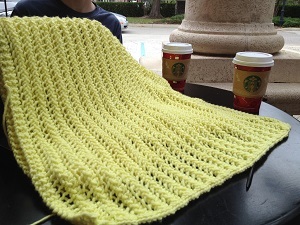 The prayer shawl group meets the first Friday of the month at the church at 12 noon. If you are planning on attending, please contact prayershawls@bbuuc.org by the Tuesday before the meeting. For any questions, please contact prayershawls@bbuuc.org.